The 2017 release Kong: Skull Island turned out to be, ahem, a monster success for director Jordan Vogt-Roberts. So it shouldn’t be a complete shock to see him return to that style of film. In a new report, The Hollywood Reporter confirmed that Vogt-Roberts will direct a yet unnamed monster film. New Regency, alongside Alana Mayo, serves as producers for the forthcoming film. Michael B. Jordan, who made a huge impact as Kilmonger in last year’s Black Panther, serves as producer with his company Outlier Society. Details for the film aren’t available just yet, so we don’t know just how big its monstrous scope will be. However, it’ll take place in Vogt-Roberts’ hometown of Detroit, as he has brought projects to the Motor City in the past. There’s a lot of powerhouse talent behind this forthcoming monster project. 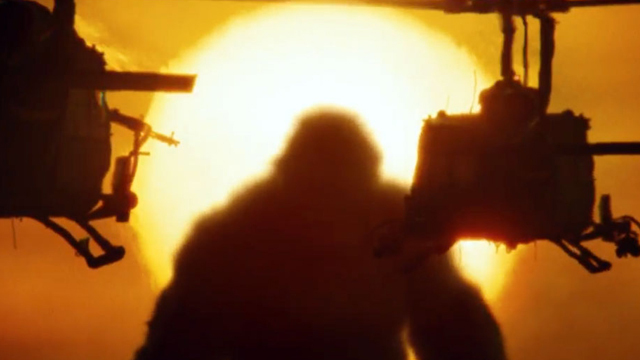 Vogt-Roberts’ Kong film made $545 million worldwide, priming Warner Bros. for this summer’s release of Godzilla: King of the Monsters. New Regency previously produced the Queen biopic Bohemian Rhapsody, which has become a huge box office hit that also scored at the Oscars a few weeks ago. The film is still very early in planning, as the team is in the midst of finding a screenwriter. Casting also hasn’t begun just yet, so it’s unknown if Jordan will take part on-screen. Considering the buzz for monster movies as of late (particularly Godzilla), this is good news for fans of the genre. And don’t worry, Metal Gear Solid fans – Vogt-Roberts will still work on that once production is complete on this film. Expect more details on this monster project in the months ahead. Are you happy to see Vogt-Roberts contribute to the genre once again? Let us know in the comments below!